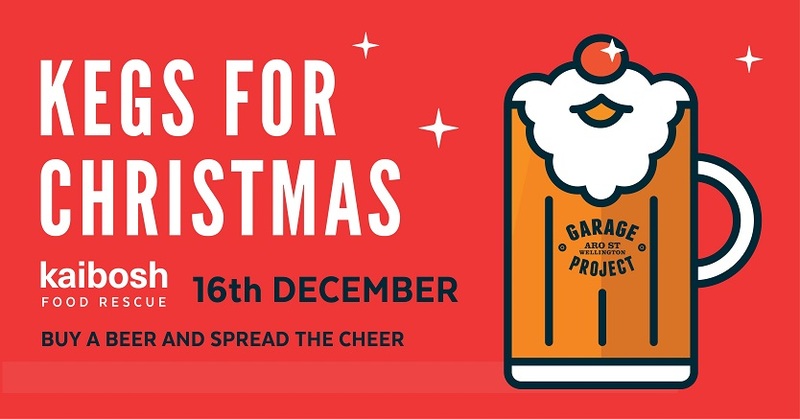 On Saturday December the 16th, Garage Project are again holding their popular Kegs for Christmas event in Wellington to raise funds for Kaibosh and local Christmas Day event, Room at the Inn. Kegs of a selection of Garage Project beers will be donated to twelve pubs and bars around Wellington. This year, for the first time, a guided walking tour will be led by Steph Coutts and Phil Cook of Craft Beer College. This is a unique opportunity to donate to Kaibosh by the pint! Participants will be taken to 7 bars and pubs around Wellington to sample Garage Project’s offerings, as well as a burger lunch. Head here to get your tickets for the walking tour and read more about the good folk at Garage Project and their beers here.